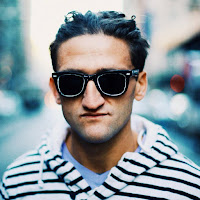 Do you know Casey Neistat? Personally? Probably not. But do you know who he is? I'm sure you do. He's most recent gig was as a vlogger on YouTube, but he quit posting daily "vlog" videos on November 18th of 2016 citing "it doesn't challenge me anymore" as a reason. But he doesn't owe his success to the video-sharing start-up that was swallowed by Google in November of 2006. No. He was a filmmaker before YouTube even existed, and he even had his own (well not really his own: it was him and his brother filming and editing along with their former employer and a friend, the acclaimed New York artist, Tom Scott as a producer) TV series on HBO called The Neistat Brothers. And his studio at 368 Broadway St in NYC which serves as a character of its own in most of his recent videos as well as most of his vlogs? It originally belonged to Casey and his brother Van. Casey and Van have allegedly had a falling out shortly after their TV show aired on HBO. "Why?" you might ask. People on the 'interwebs' are asking the very same question and no one seems to have a definite answer to that. 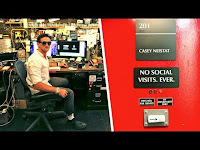 But it seems that Van Neistat chose a more artistic approach to his career (he still works with Tom Scott on various projects), whereas his younger brother, Casey chose the more mainstream way in his work path. And we all now that Casey is succeeding. At least so far. And they decided to part ways. The recent buyout of Beme (Casey Neistat's tech startup) by CNN for not a small amount of $22 million speaks for itself. And the app that they created - Beme, failed to attract large crowds like Instagram and Snapchat did. So CNN didn't buy the app for its user base, they bought it for Casey and his relationship to us, and he is now an employee of some sort at CNN. But can you blame him? Casey, coming from a middle-class family from Connecticut has lived through a lot of things. And everything he owns, he owes it mostly to himself and his 'hustling'. He had a baby at a very young age, Owen, who is a part of some of his videos. But Owen's mom left Casey soon after Owen turned three which prompted Casey to move to New York City and follow his dream of being a filmmaker. "Realizing the great lucrative potential of the substance he quickly set up a retail infrastructure that dominated the Ledyard High School market". And he never seems to talk about it. Is he trying to hide his past? Is there something that could be even more embarrassing or damaging? Is he trying to hide something from us, his audience that could end his career forever? Or is our acclaimed filmmaker, videomaker and producer simply trying to move on from his past, while focusing on his current endeavors in the world of film, video and journalism? 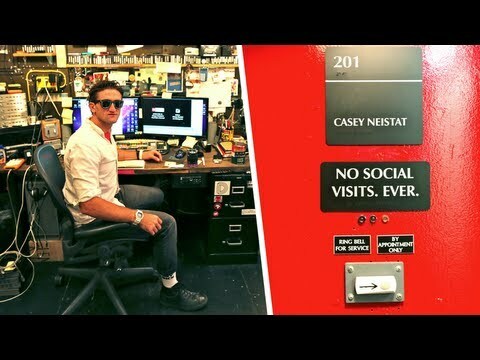 You can check out Neistat Brothers' old web page on Web Archive, just follow this link to their old bio page right here.